Blockchain technology specialist Bitfury Group and Longenesis, a partnership between deep learning firm Insilico Medicine and Bitfury, are teaming up with Medical Diagnostics Web to bring blockchain technology to Medical Diagnostics Web’s radiology marketplace. The Exonum framework allows transactions to be validated by nodes installed at a variety of respected sites, using anchoring technology to increase trust in recorded transactions. For its part, Longenesis will provide data management practices to ensure medical data, while recorded transparently via blockchain, is accessible only by authorized parties in compliance with HIPAA, GDPR and “right to forget” laws. In addition to complementing Medical Diagnostics Web’s existing immutable blockchain audit trails and tamper-proof records of patient data, the platform is designed to help solve a host of medical imaging problems, including service access and delivery, results communication, and integration across the continuum of care. Medical Diagnostics Web’s blockchain marketplace enables individual radiologists and radiology groups to connect to all the players in the diagnostic digital imaging ecosystem, and streamline access to imaging providers for all healthcare stakeholders. The marketplace also helps artificial intelligence companies benefit through access to the highly specialized annotated imaging datasets and raw imaging data required to train and validate algorithms. Healthcare imaging centers sit on top of massive amounts of data, and analyzing specific results can be time-consuming for radiologists. Through Medical Diagnostics Web’s blockchain platform, anonymized datasets can be made available to vendors for additional product development and testing. Meanwhile, the creation of an integrated and secure marketplace allows radiologists to search for and try specific applications, imaging centers to monetize and share their data securely, and developers to access data for test development. Overall, the use of blockchain can help create safe and transparent means for users to exchange data and increase care quality, while improving efficiency and interoperability along the care continuum. “Blockchain technology can strengthen patient data security by providing a tamper-proof record of patient history while simultaneously providing an avenue for doctors to more easily share information,” said Valery Vavilov, CEO of Bitfury. She argued that the digitization of trust blockchain offers, paired with the medical potential of artificial intelligence algorithms, have the ability to revitalize medical systems across the globe. 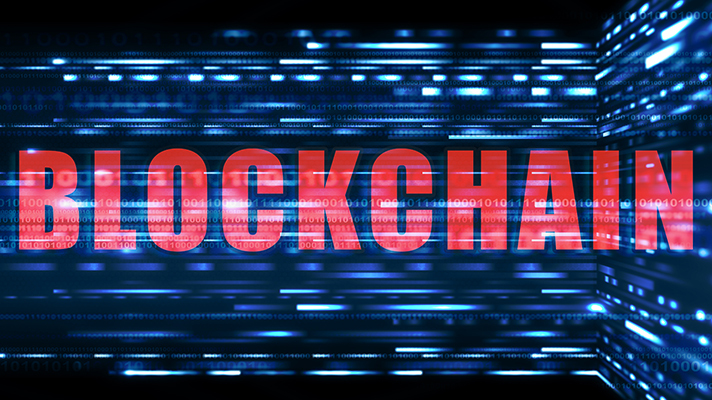 Blockchain, for example, also offers a promising solution to enable pharmaceutical traceability, real-time access to data and supply chain validation by creating a log to track each step of the supply chain.